What do the codes next to the burn-in script mean? 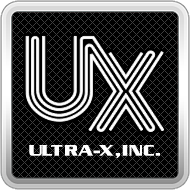 – Ultra-X, Inc.
What do the codes next to the burn-in script mean? When running the burn-in script, QuickTech PRO / Premium will place numbers next to test when a failure is detected. It will also place numbers next to the test if you escape the burn-in before it concludes. If a dash appears, that means more than one sub-test failed. If a check appears, the test passed.